Book 11 of 100 in the Great American Read list. 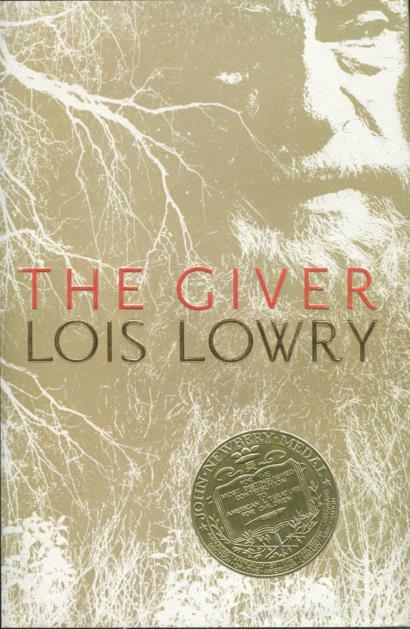 The Giver was a hugely influential novel at the forefront of a cultural shift and it set the scene for the dystopian genre to explode in volume and popularity. Outside of that context, there's not much else to recommend it. What’s it about? Jonas lives in an idyllic but uninspiring community, where he is chosen to be the new Receiver of Memory. He will train with the old Receiver, who will now be known as The Giver. The Giver physically transfers ancient memories to Jonas. Memories of war, starvation and grief, but also sunshine, joy and love, none of which exist anymore. Then he discovers that when a person is “released” from the community, they are actually put to death with a lethal injection and Jonas has to escape from the shallow feeling community. He hopes that his escape will force people to shoulder the burden of the memories themselves. The Giver is an allegorical tale intended to challenge young minds to think critically about the world around them and ask whether all is as it seems. And that’s why it’s on the list. The book has been taught in middle and high schools for a long time. For many Americans it’s the most complex book they’ve ever read and certainly the most complex one they’ve ever studied. And maybe the book is really deep, if you’re twelve years old. It’s certainly shocking to some people, these parent reviews from Common Sense Media show some parents who believe the book to be promoting child murder. Which displays a depressing lack of critical thinking skills from the grown-ups. Is it any good? Well, no. The world building has issues, there are inconsistencies, mysteries and the necessity to portray the community as dull, makes for some uninspiring and dreary chapters. The book is sparse on detail, there is no explanation of how the community came to exist, or how the science works that suppresses their feelings to the point that they cannot see color. How do they control the weather around the town? Where are the animals? How do you transfer memories to someone with a touch? Why doesn’t it work on everyone? How does a Receiver just shed memories with distance? And how do the memories “go back” to the people of the community, who never had them in the first place? A similar annoyance for me was the concept of “Precision of Language”. If the community is invested in using precise language and they have no books or memories of any community other than their own, then why do they even have words like “love” and “starving”? It doesn’t seem very precise. Nor does it seem so bad in this dystopia. Everyone is safe, content, well fed and industrious. Very few people want to escape this emotional lock-down because they don’t perceive it. This isn’t The Hunger Games or 1984, no-one is oppressed. Yes, some rule breakers, non-thriving babies and the old at the end of their lives are “released”. But in the real world babies and elderly people die of neglect every day and there are thousands of people in American jails awaiting execution. Don’t get me wrong, the father who kills the newborn baby is horrifically psychotic. But the elderly all seem happy to have a celebration of life party and be released. I think I am too old for The Giver. I have too much experience of real life, of how this genre of stories work and of human weakness. Plus, there are just better built dystopias these days.